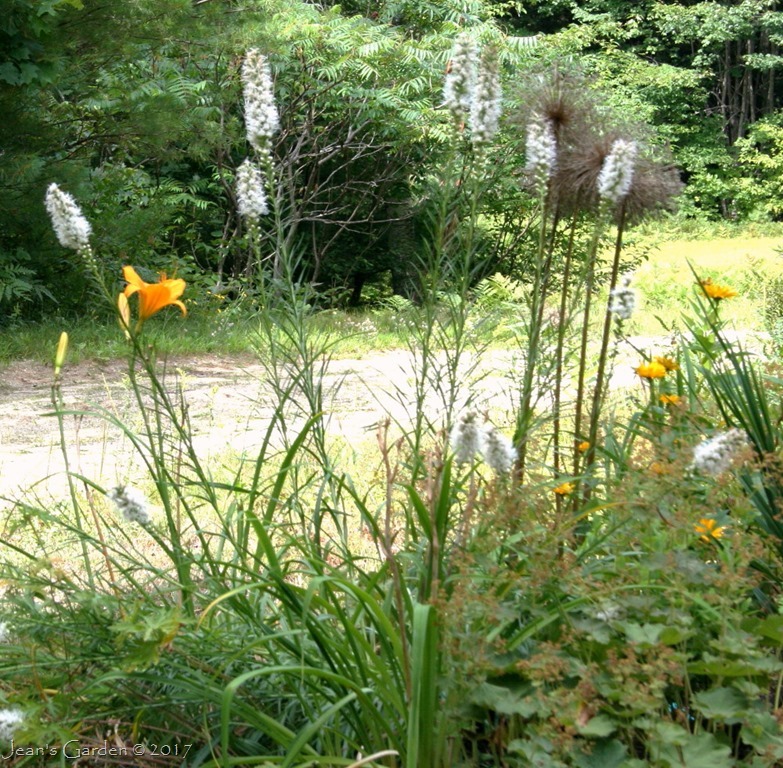 Our garden season in Maine is short; but as you can see from the above view down the side slope from the patio border to the driveway, there’s still quite a lot happening in the garden in mid-August. 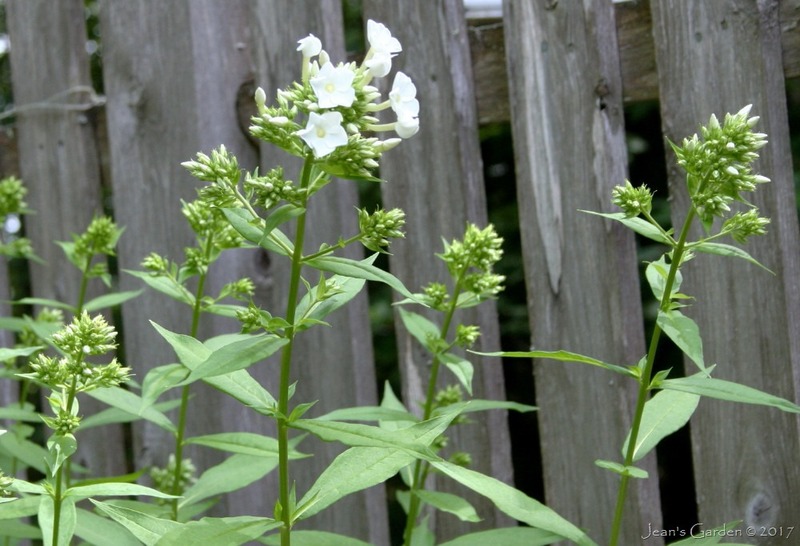 If July is daylily season, the stars of the August garden are the summer phlox (Phlox paniculata). 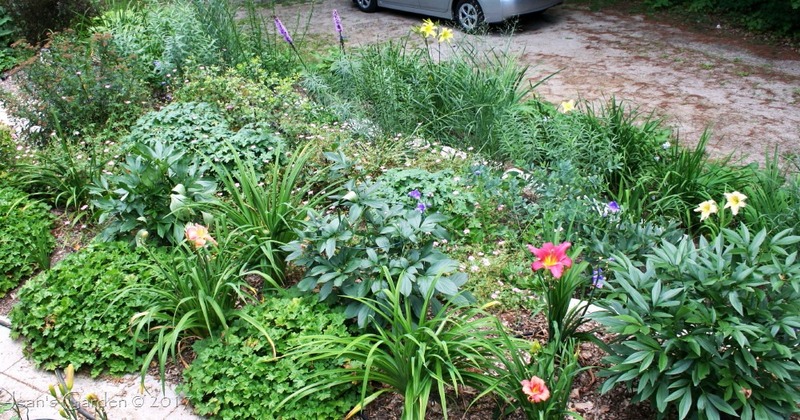 I have been taking advantage of my new front garden project to add more of these. 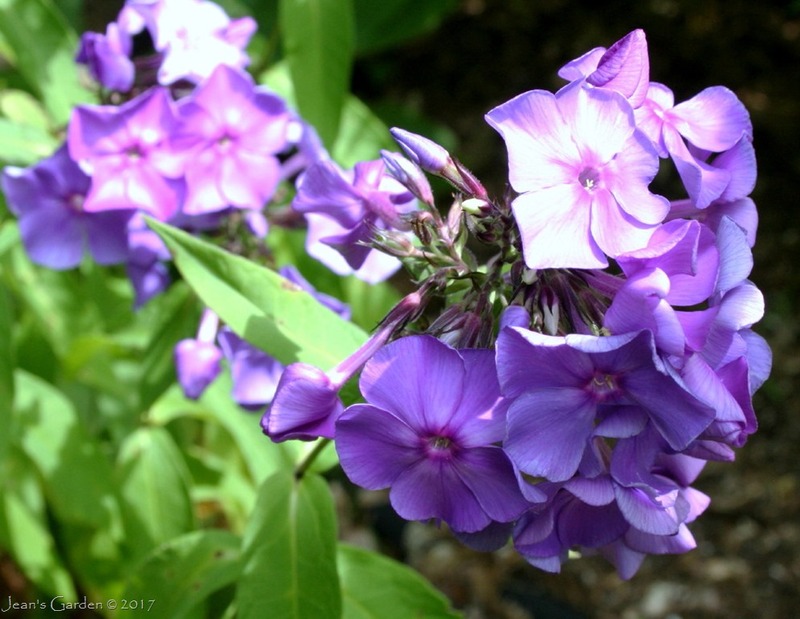 Two varieties, ‘Blue Paradise’ and ‘David’ are old friends that have been growing in the back garden for years. 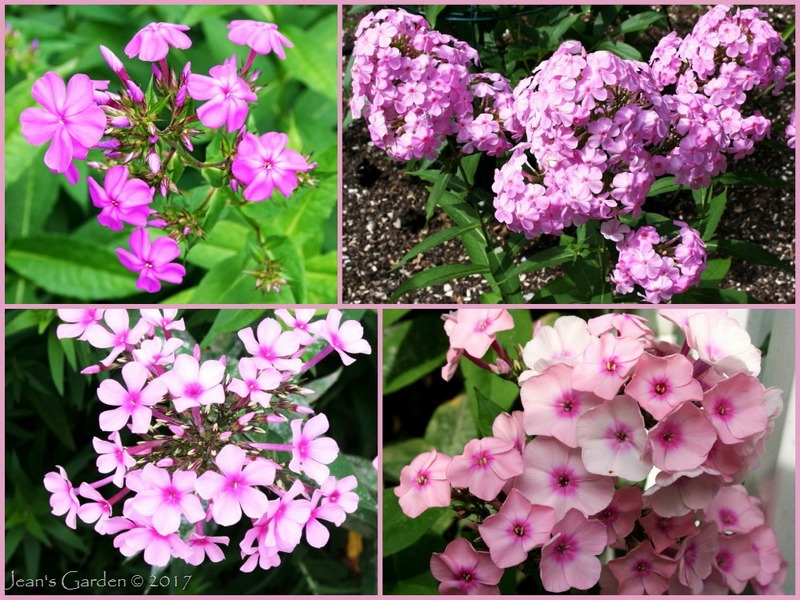 ‘Blue Paradise,’ the earliest blooming of my summer phlox varieties, has already been flowering for weeks and is beginning to look a little tired. ‘David’ is just beginning to open its flowers in the fence border. 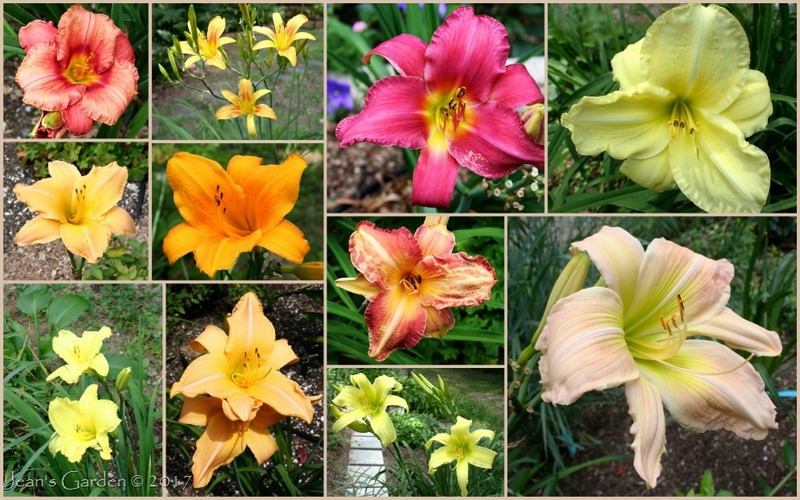 Although the daylilies are past their peak in mid-August, there are still more than a dozen varieties in bloom, including these which had flowers open today. 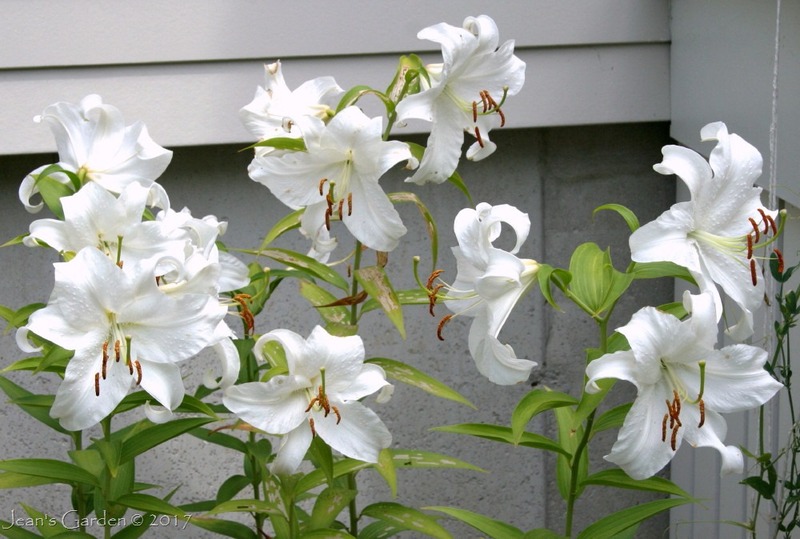 The Casa Blanca lilies are adding beauty (and their glorious fragrance) to the August garden. While the lilies have just begun to bloom in August, the flowers of Geranium x oxonianum are garden stalwarts that have been blooming since early June. 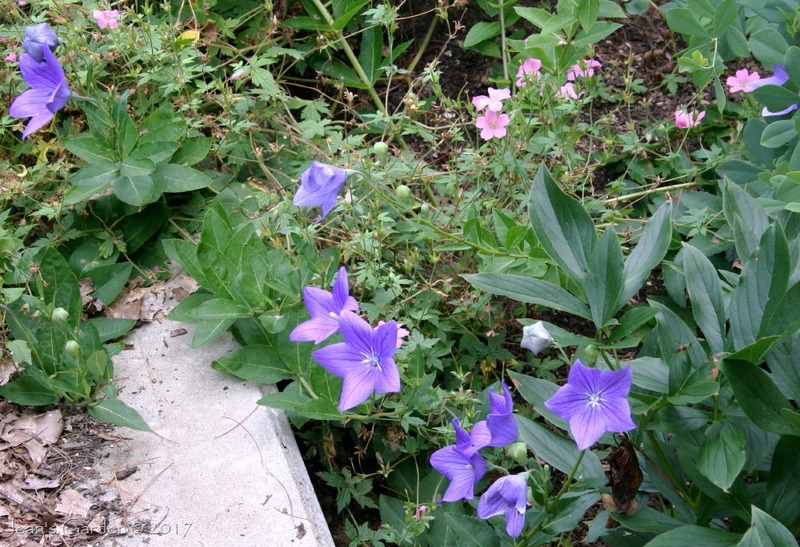 I occasionally think about cutting back their long floriferous arms, especially now that they are putting up new blooms from fresh new mounds of foliage at the centers of the plants – but I love the way they weave their clear pink flowers among other plants, as here with the blue balloon flowers (Platycodon grandiflorus). 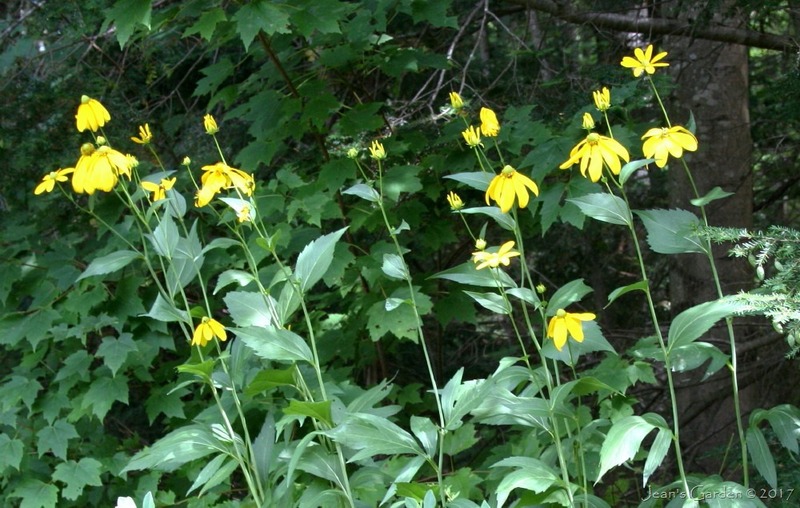 Composite flowers (now in the family Asteraceae) also come into their own in August. 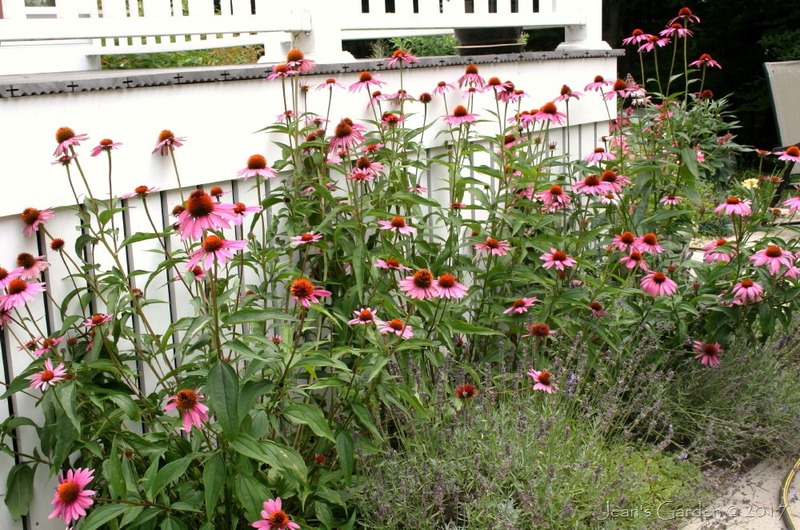 These include the flowers of Echinacea purpurea ‘Magnus’ blooming their hearts out along the Lavender Walk. In the back garden, the lemon yellow composite flowers of the tall rudbeckia ‘Autumn Sun’ (or ‘Herbstsonne’) light up the back of the blue and yellow border. 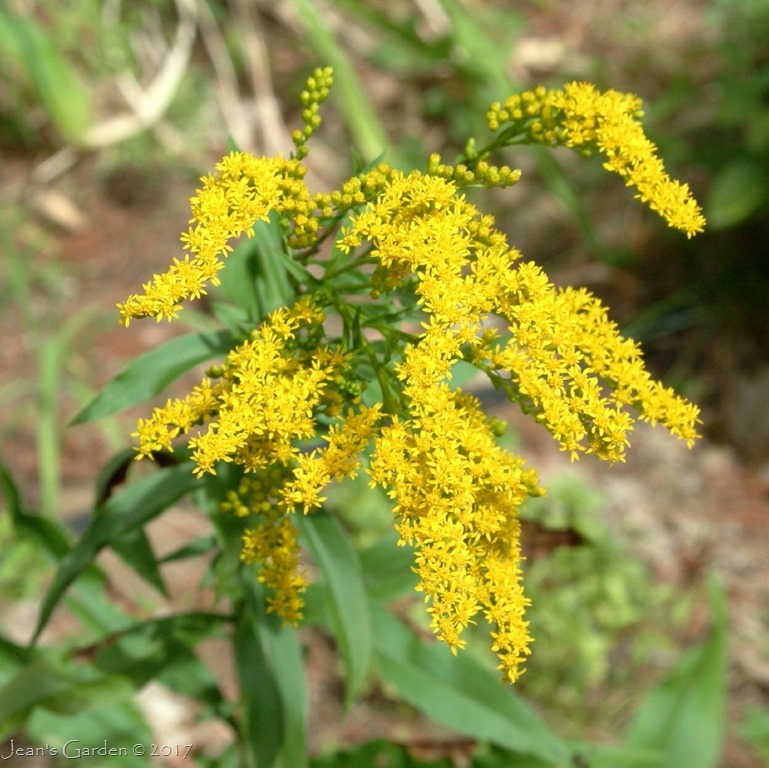 And around the edges of the garden, the native goldenrods (Solidago) have begun to bloom. Garden Bloggers’ Bloom Day is the creation of Carol at May Dreams Gardens and is hosted by her in the 15th of every month. 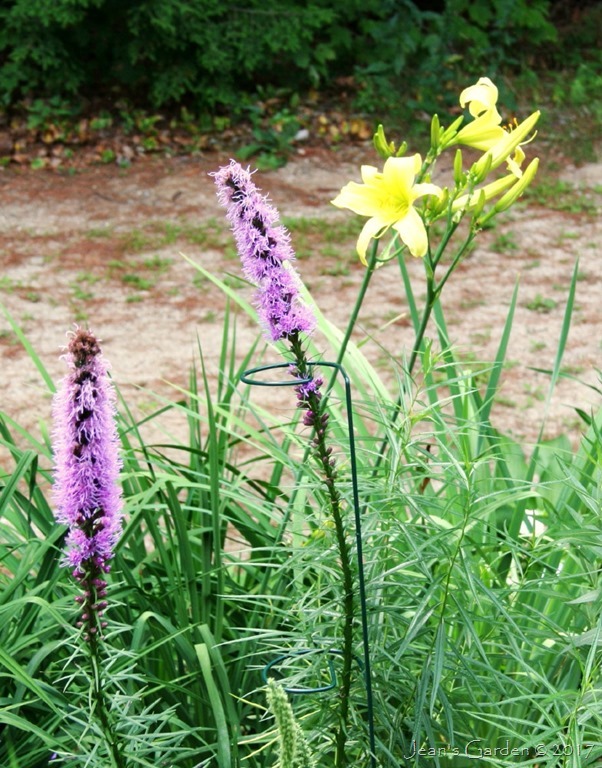 Visit her blog to see what other gardeners have in bloom this August.